Clockwise, from top: Connecticut State Librarian Kendall F. Wiggin, David Green of the Cultural Alliance of Fairfield County, NEMA Director of Engagement Meg Winikates, and Connecticut League of History Organizations Executive Director Laurie P Lamarre. Lucy Gellman Photos. Talk to your state senator before a bill is even on the table. Up your social media game when lawmakers are in the room, and even when they’re not. Get to know what issues are important to your delegates, because they might make or break a vote you care about. And always remember to send a thank-you note. Around 15 museum and library professionals got those tips last week as they gathered at the State Capitol for the fourth annual #CTPlaces Advocacy Day, a project of CT Humanities and the CT Places Coalition. This year, the session included a crash course in advocating for state funding for museums, libraries, and historic buildings during a short legislative session. In particular, advocates are watching House Bills 5431 and 5279, both tied to historic preservation. State Sen. Bob Duff: Humanities play such a critical role in this state. “Humanities play such a critical role in this state,” said Norwalk Democratic State Sen. Bob Duff as he welcomed the group to a quiet hearing room. Duff kicked off an hour of advocacy training and conversation led by New England Museum Association (NEMA) Director Dan Yaeger and Director of Engagement Meg Winikates, as well as by #CTPlaces staff. "Advocacy is kind of a new thing to us," Yaeger told the group. Drawing largely on 2017 data from the American Alliance of Museums (AAM), Yaeger and Winikates pushed for the importance of narrative and numbers—personalizing stories, breaking down finances, and learning to paint the humanities in terms of economic development and job creation. In Connecticut, AAM data states that museums bring in $834 million a year, generating $223.5 million in taxes ($146 million in federal and $77.5 million in state and local) and 10,229 jobs overall, including part-time, contract and temporary staff. On a national level, those numbers total $50 billion for the economy, with $12 billion in taxes and 726,000 jobs. Barnum Museum Curator Adrienne Saint-Pierre. But it’s great, Winikates said, when those numbers are put into relatable language. Like how funding the National Endowment of the Arts (NEA) annually costs as much as one postage stamp per person in the U.S.
Or how sustained funding lets your rural house museum teach 25,000 school kids about the American Revolution each year. Or how 12.5 percent of your young visitor base is on free and reduced lunch—and that NEA grant you’re going for means that you can feed them. American Alliance of Museum (AAM) Photo. Why Fund The Humanities Anyway? #CTPlaces Advocacy Day comes at a time when financing for museums, historic organizations, and public humanities is at a sort of statewide crossroads. In June 2016, Gov. Dannel Malloy signed a budget that cut $1.73 million from CT Humanities, decimating its funding and grant-giving capabilities with a line-item veto. Crippled by cuts, the organization hobbled along with a smaller operating budget, less staff and a few of its signature programs for a year, unable to distribute funds for the first time in two decades. But then the humanities pendulum swung back, restoring the funding to $875,000 in the 2017 legislative agenda. In part, the organization has used the money not only to bring back grant making programs, but also to hire a full-time lobbyist at the capitol. Other successes followed: the state’s land recording fee was doubled, providing increased funding for historic documentation, municipal preservation grants, and funding for the State Library’s efforts to manage electronic records. Funding for borrowIT CT, a book borrowing network of 192 public libraries across the state, was maintained after a proposal that it be eliminated. And the preservation-focused Community Investment Act, which had been a candidate for $25 million in funding cuts, was partially preserved. Scott Wands Manager of Grants and Programs with CT Humanities. Now, advocates are looking at the short legislative cycle ahead of them, which ends May 9. In the state legislature, House Bill 5431 would essentially double the aggregate amount of tax credits that the Department of Economic Development (DECD) can give out for the rehabilitation of historic structures—meaning more discounts for the historic homes and institutions that seek major, often expensive and time-consuming rehab projects. Meanwhile, House Bill 5279 seeks to adjust qualifications for members and add legislative appointees to the Historic Preservation Council, a state-appointed group of volunteers that advises the DECD on historic preservation projects. It has received opposition for the potential delays on preservation projects and efforts that it could cause. As of mid-March, the bill was referred to the Joint Committee on Commerce. Last month, there was good news for humanities at the federal level. Following a contentious and spirited Museums Advocacy Day in February, the National Endowment for the Arts (NEA) and National Endowment for the Humanities (NEH)—both of which President Donald Trump had proposed eliminating—received funding increases of $3 billion apiece, with $152.8 million per organization. But advocates have to get those statistics across. Rising in the back of the room, lobbyist Kevin Graff urged attendees to be firm and vocal in their support for the humanities, because the budgetary odds are not working in their favor. AAM "cheat sheets" with facts and figures that attendees were encouraged to grab on their way to speak with legislators. Back at the front of the rom, Yaeger and Winikates were walking #CTPlaces attendees through the specifics of visiting with their legislators. Did they want to go for a walk-in, or make an appointment? Were letters any better than cold calls? What information was most important to bring along? “In general, nobody hates what we do or what we stand for,” Winikates said to a smattering of laughs. She gestured to an AAM cheat sheet, with the figure that 89 percent of Americans support museums, regardless of political background. From his seat, David Green (pictured at top) scribbled down notes, then watched Yaeger intently as he spoke. 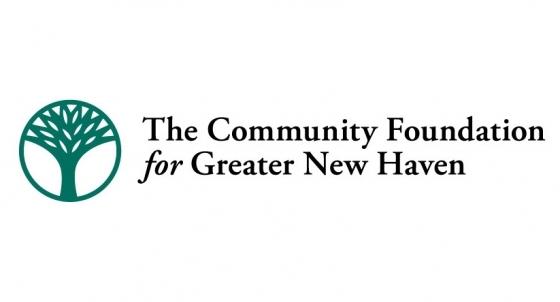 The Director of Programs and Marketing at the Cultural Alliance of Fairfield County, Green said that his legislators hadn’t even known when CT Humanities funding was cut in 2016. This was his chance to get them up to speed—and advocate for sustained support for arts, humanities, and historic institutions in his district. Writing in black, sprawling cursive, Green addressed two notes: one to Democratic State Rep. Cristin McCarthy Vahey, who represents Fairfield, and another to Republican State Sen. Tony Hwang, who represents Easton, Fairfield, Newtown, Weston, and Westport. He said he planned to visit them after grabbing a bite in the cafeteria, but wanted to have the thank-yous on hand in case they weren’t in their offices. Vivian Nabeta and Shannon Burke on their way to Rep. Ritter's office. The two also visited Democratic State Sen. Doug McCrory, who represents Hartford. Three floors up and one hour later, Harriet Beecher Stowe Center Director of Marketing Vivian Nabeta and Director of Education Shannon Burke were on the hunt for State Rep. Matt Ritter, who represents Hartford and serves as the House Majority Leader. Rep. Ritter wasn’t there, the woman informed them. But his legislative aide was. Five minutes later, Jessica Tyburski came bursting from the office’s double doors. Tyburski gestured for them to take a seat. Ritter was in a meeting, but should be done any minute. If they had a while, they were welcome to wait to talk to him in person. Spooning out soup in the cafeteria, New Haven Democratic Rep. Robyn Porter had a different take. Yes, she said—she wants to support the humanities. But it’s complicated to justify that funding when other services are cut, and then cut again. Especially when they affect her constituents. “But then we also have to look at the state and where we are financially,” she continued. “We are deeply in the hole. We’ve been cutting so many wraparound services and safety social net services. So you have to strike a balance and bring into consideration—what’s really important? So we don’t want to cut that stuff. We understand that it’s important.